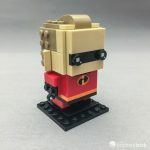 We recently got our hands on the latest addition to the LEGO sets from Incredibles 2, the LEGO BrickHeadz two-pack 41613 Mr. 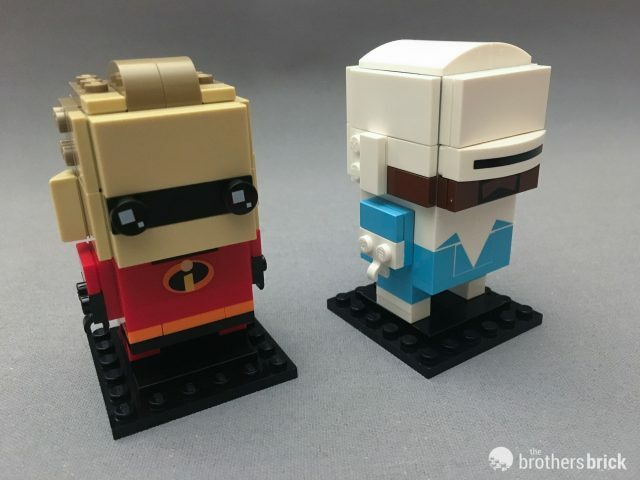 Incredible & Frozone. 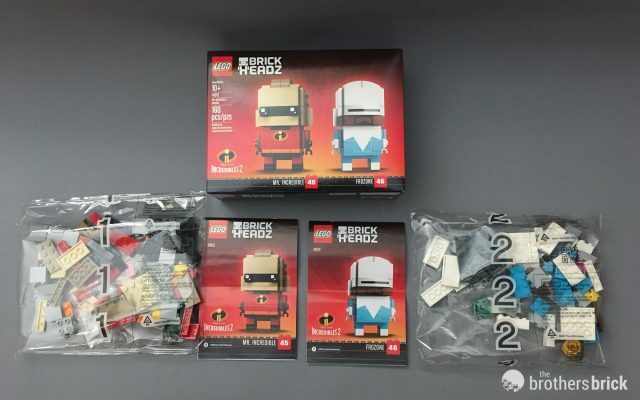 This set joins the LEGO Juniors sets 10759 Elastigirl’s Rooftop Pursuit and 10760 Underminer Bank Heist, and features the head of the Incredible family, a.k.a Bob Parr, along with his best friend and long-time partner in clandestine superhero-ing: Frozone. The 41613 Mr. 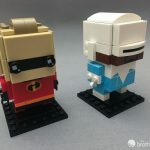 Incredible & Frozone two-pack set retails for $19.99 and includes 160 pieces. 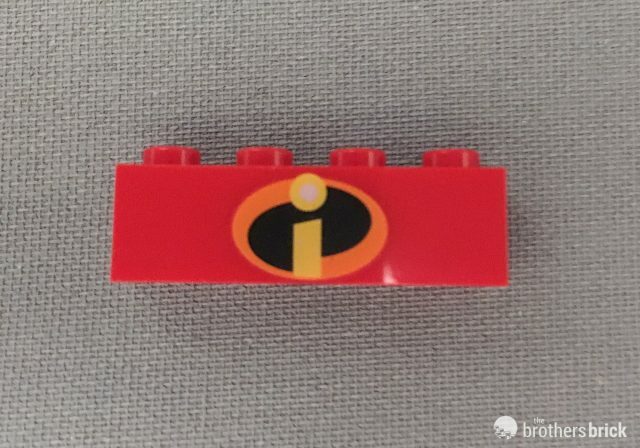 The color scheme of the box matches the dark orange and red shades of other Incredibles 2 sets previously covered on TBB. Both Mr. 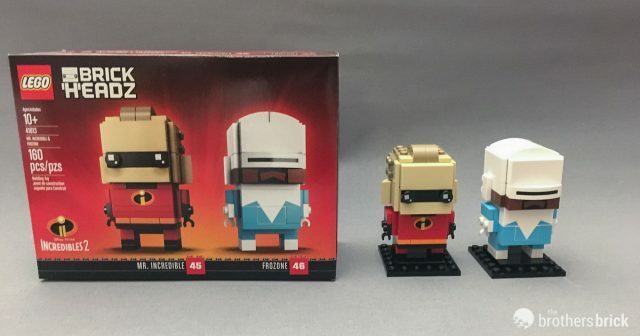 Incredible and Frozone are featured on the front and the back of the box along with their stands. 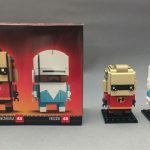 They’re numbered 45 and 46 in the BrickHeadz series. 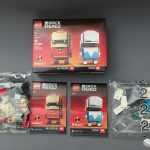 The set has 160 pieces in 2 numbered bags, and 2 instruction booklets, one for each model. 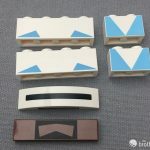 Each numbered bag also includes a second unnumbered bag with the smaller parts. Starting with Mr. 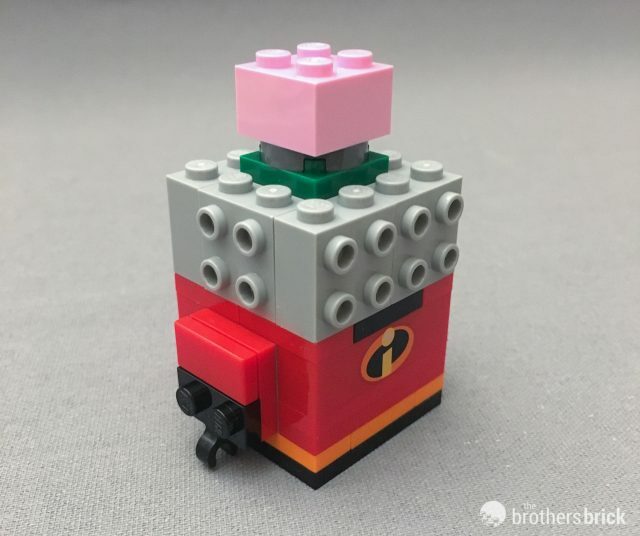 Incredible, The model includes only one printed brick with the Incredibles symbol. Mr. Incredible has a standard BrickHeadz construction, including the 2×2 pink brick for a brain, and there are no surprises in this build. He is made up of his red costume with a black belt, gloves, and boots, with an orange stripe around his waist. One call-out worth mentioning is the design of his receding hairline, combined with the recessed slopes making up his distinctly sculpted hair. 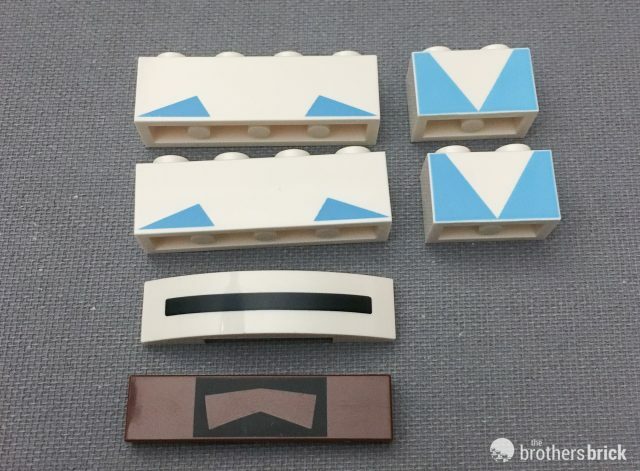 Moving on to Frozone, this model features 6 printed pieces — four bricks printed with his costume details, one 1×4 curved visor, and a 1×4 tile printed with Samuel L. Jackson’s distinct goatee. 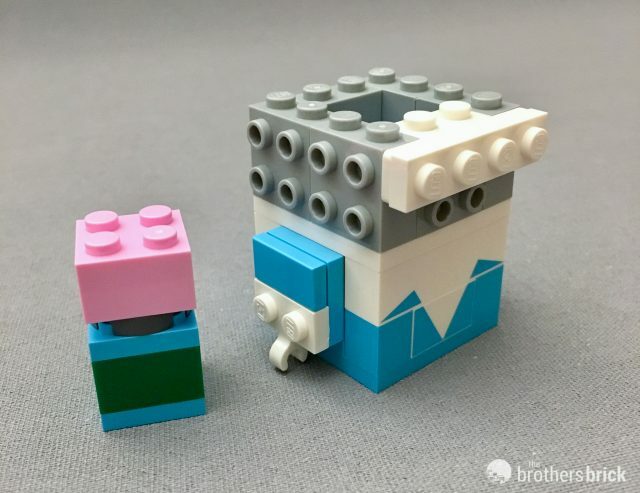 Frozone’s head construction also features a few variations from the typical head construction, used to create the look of his visor and soft helmet. Mr. Incredible captures the likeness of his on-screen inspiration pretty well, although this would have been a good opportunity for the designer to play around with proportion to make his chest and shoulders appropriately larger, like The Hulk or Thanos. 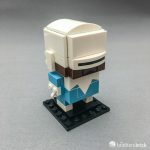 With Frozone, this model does a great job capturing his simple helmet design with visor and distinct facial hair. 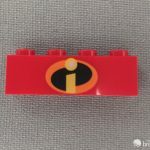 Also, the printed bricks on both the front and back of his costume make this hero instantly recognizable. 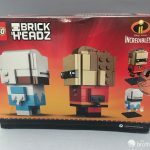 Overall, this set does a great job capturing the likeness of both characters from the movie, but with only 160 pieces, it comes fairly short of the part count for many other BrickHeadz sets at the same price (approximately one hundred parts per character). As a result, I did feel slightly underwhelmed by the finished product. 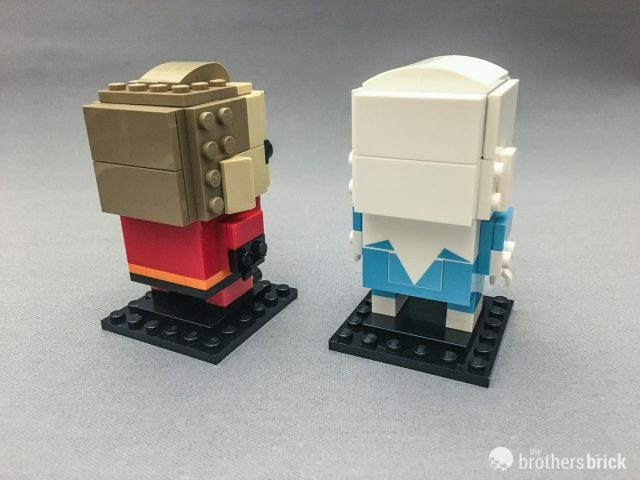 These two figures feature some of the most basic hair and head details, compared to some of the other characters in the BrickHeadz line. 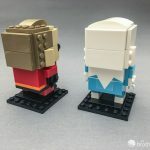 In spite of this, the set is still a good addition to any Pixar fan’s collection, and the printed parts for Frozone are pretty neat. 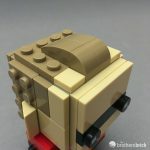 LEGO BrickHeadz 41613 Mr. 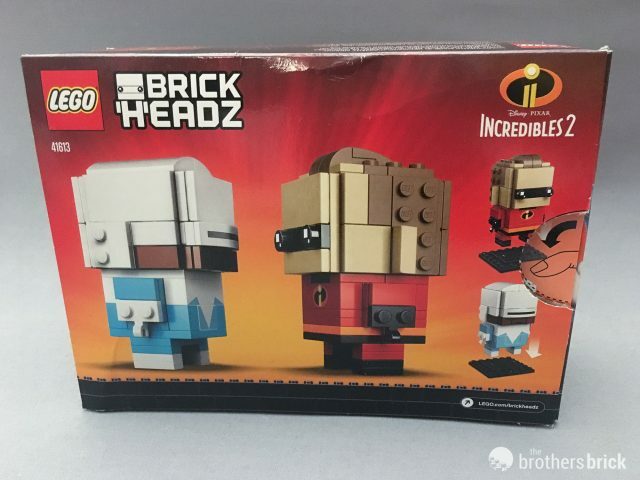 Incredible & Frozone includes 160 pieces and retails for $19.99. 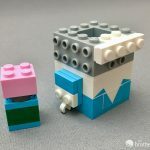 The set is available from the LEGO Shop.